Tired of scrubbing your floors? 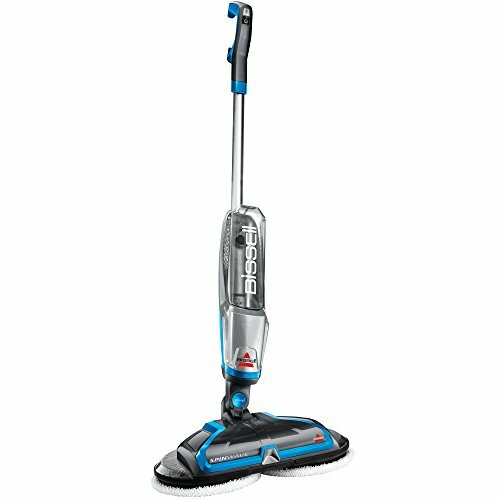 Let the BISSELL Spin Wave powered hard floor mop do it for you. Safe for cleaning sealed, hard-surface floors like tile, linoleum, vinyl flooring, and hardwood floors, this versatile machine comes with a set of soft touch cleaning pads for everyday cleaning and scrubby pads for tough, sticky messes. Power spin pads reduce cleaning effort while giving you a hands-and-knees clean. Spin wave Plus model includes extra set of mop pads, extra bottle of formula and bristle brush for sticky messes. View More In Household Cleaning.